Hello friends! Today I am sad to say that this is the last sketch challenge at Waltzingmouse Sketch Challenge! But, no fear, there will still be more inspiration in the form of challenges from Waltzingmouse in the future and you will still see me and the Mischief Makers bringing you more WMS inspiration in one way or another. Once a friend of Waltzingmouse, always a friend! I made this card for my hubby as we will be celebrating our 6th wedding anniversary on January 20th! I started off with one of the hearts from the wonderful My Heart set and added our initials from the Woodenheart Alphabet set. 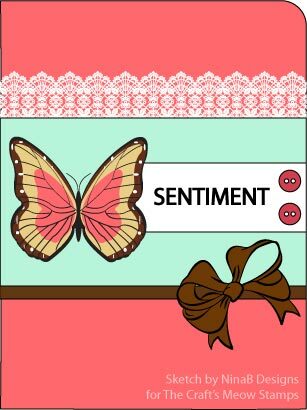 I finished the card with some little chipboard hearts and a banner stamped with one of the sentiments from My Heart. Thanks so much for playing along with us for so long! I can't believe I've been a MM for nearly two years and it was my greatest honor to be asked to join such a wonderful team! I'm so excited to see what Claire has up her sleeves for this year and know you will be, too! I'm going to keep this short - I have a lot more wrapping to finish before the big day so I'll leave you with this sneak of a project I'm sharing over at the Paper Made Bakery blog today. I hope you can head over to check it out! This week our sponsor is Jenni Bowlin Studios and we all received a selection of stamps to use on our creations. One of the stamps I got was a wonderful sheaf of wheat that I thought would be fun to use as a bit of a background. I started off with a couple of patterned papers and then stamped the wheat in gold ink. 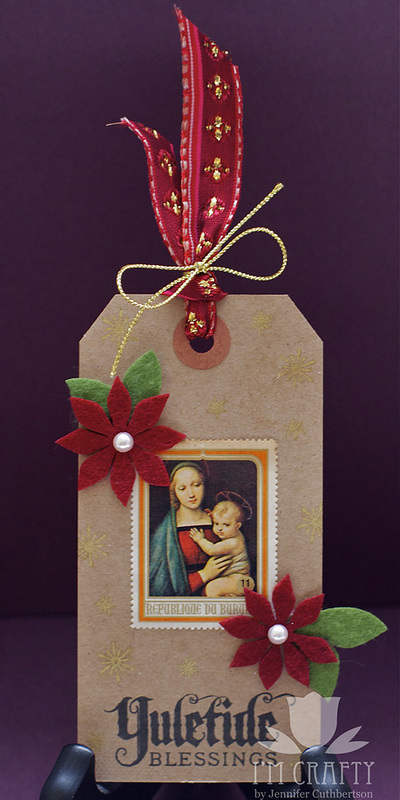 I layered a gold ornament chipboard on top and finished with a purple ribbon. Thanks so much for visiting today and I'll see you all back here after the holidays! I wish for you and yours a very blessed Christmas and a happy New Year! Hello friends! Today I have a sneak of a project I've made that I've shared on the Paper Made Bakery blog. I hope you have a chance to visit me over there! Hello friends! Today is the day for a brand new sketch at Waltzingmouse Sketch Challenge! I had a lot of fun with this sketch from MM Kim, and I think you will, too! 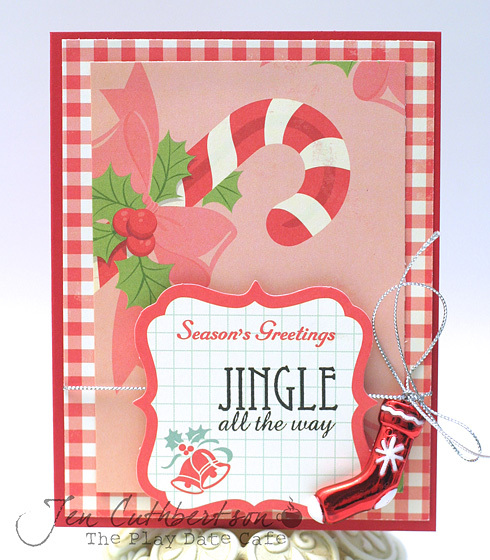 I started off with a red card base and used some coordinating patterned papers for the background and the strips. I stamped a label from Labels 18 and a sentiment from Compliments of the Season and layered it over some silver cardstock. 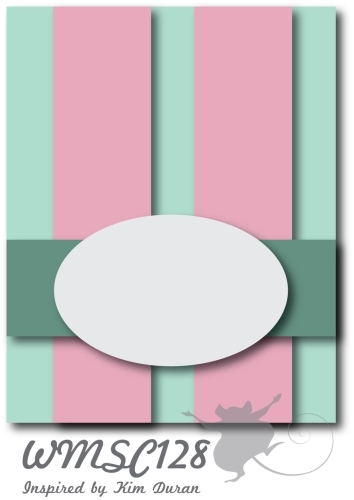 I finished the card with a strip of ribbon. This will be a two week challenge so there's lots of time to link up. As this will be my last WMSC post before the holidays, I wish you and yours a very Merry Christmas! Hello friends! 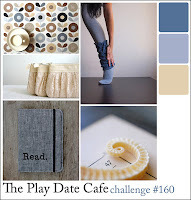 I'm so excited to share the new Play Date Cafe color story with you - aren't these delightful?! For my card, I started off with a red card base and just received a brand new paper collection, Make it Merry, that was absolutely perfect! 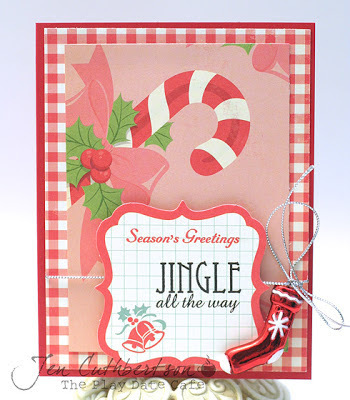 I used some red gingham patterned paper topped with another layer of candy cane-patterned paper and added a die cut that I stamped with the "Jingle All the Way" sentiment. I finished the card with some silver twine that holds a little red stocking ornament! Link up by Tuesday for a chance at a wonderful prize - details on the PDCC blog! Thanks for visiting today and I hope you have a wonderful day!! Hello friends! 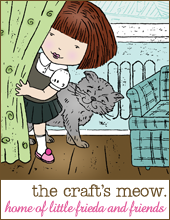 Today is blog hop day with The Craft's Meow and I'm so glad you could join us! If you're here from Jean's blog, you're in the right spot. If not, head over to the TCM blog to get started! For this little tag, I used "Love Dwells Here" - one of my favorite sets! Maybe I'm sentimental because we just moved into our first home, but it is so versatile, I know you will love it! 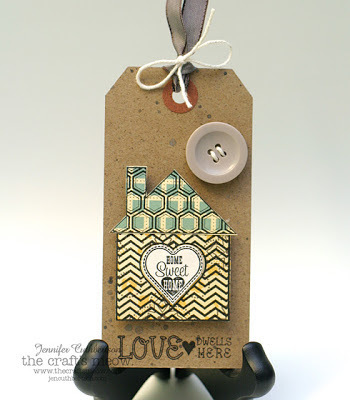 I stamped one of the little houses and roofs onto some patterned paper and then pieced the little heart inside. I took a kraft tag and gave it a spritz of some silver mist and stamped the sentiment onto the bottom. I took the little house and popped it up using some foam tape and finished with a gray button. I hope you're enjoying this hop and all of the sets you'll see today are 15% off through December 16th! Enter code "valentine" at checkout for the discount! And, one lucky commenter on the store blog before December 14 will win "All You Need is Love"! Yay! 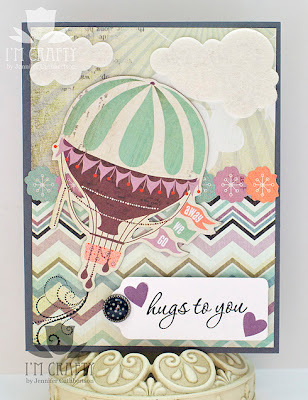 Off you go to Jen's blog for some more crafty inspiration! Thanks so much for visiting today! Hello friends! 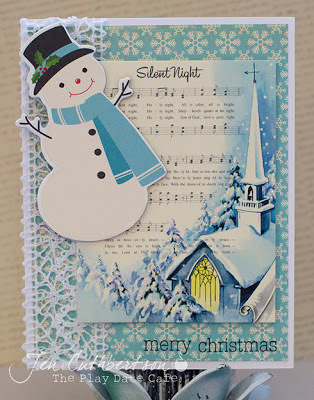 Today I have a tag to share with you that was published in this year's edition of Paper Crafts' Holiday Cards & More! 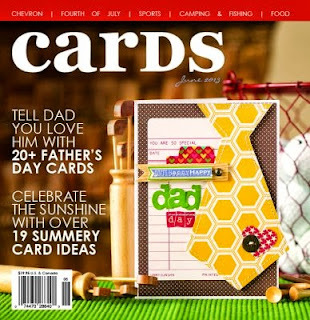 That magazine has a special place in my heart as it was the first Paper Crafts where I was published about 3 years ago! My how time flies!! I started off with a kraft tag base and stamped the sentiment vertically along the side. 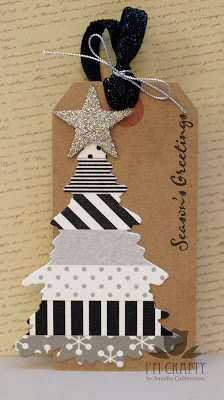 I layered strips of washi tape on a piece of white cardstock and then used my tree die to cut it out. I finished the tag with some sparkly ribbon and a big glitter star. 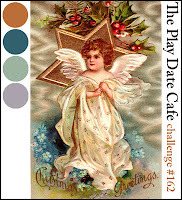 This is my final post for the "12 Days of Holiday Projects" project this year! A BIG thanks to Donna for getting us all together to do this - I've had a wonderful time!! Hello friends! Today I have two projects to share with you that I've made with kits from Paper Made Bakery. 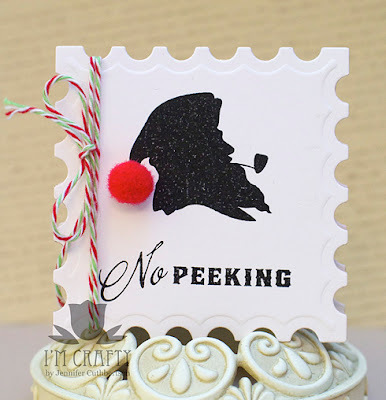 First up is a tag I made with the November "Christmas Treats" kit. Aren't those little gingerbread men cute?! Can you believe we're already at the 11th day of Christmas?! I sure can't! I've sure had fun checking out all of the wonderful projects by the crafty ladies below and today is no exception! 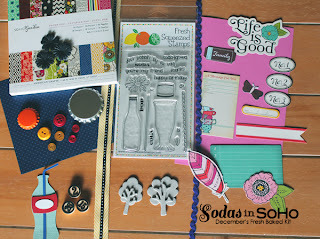 Next up I have a sneak peek of a card I made with December kit, "Sodas in SoHo!" Head over to the PMB blog for the full reveal! 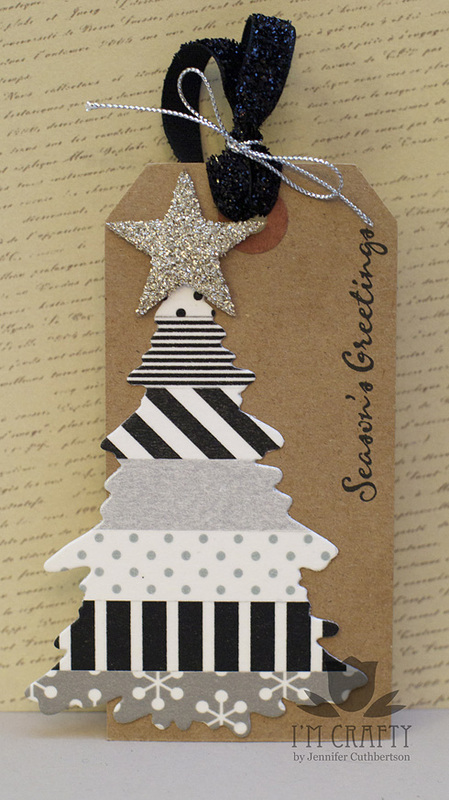 For my card, I started out with some patterned papers and then stamped the tree from "Christmas Cheer" onto some cream cardstock, cut them out, and added some sequin "ornaments." I stamped the "Happy Holidays" sentiment from the set onto the ledger paper and finished it off with some tassel trim. Fun! Hello friends! This weekend has been so busy but lots of fun! Last night I went over to a friend's holiday/tree-trimming party and really enjoyed it! I finally got to meet her new kitty who is sooo cute! Today my husband and I went to the farmer's market and got a wreath for our door. We're waiting until tomorrow to get our tree because the lot was pretty picked over today. I'm really looking forward to the smell of the tree in the house!! Anyway, quick post today to share a couple of cards that you can find in the December issue of Cards Magazine! The first one is a small card (about 3" square) that would be perfect for a gift tag or gift enclosure and the second one is an encouragement card that I had so much fun making with the little felt clouds! Can you believe it is already the 9th?? I sure can't! But, it is day 9 of our "12 Days of Holiday Projects" tour and I hope you've been enjoying what you're seeing out there! Here are links to the other crafters participating! I haven't been on the tour in a couple of days but can't wait to get out there to see what I've been missing! Hello friends! I hope your Saturday is starting off nicely! Today I'm going to a tree-trimming party and am looking forward to an afternoon with some friends I haven't seen much lately but first I wanted to share this project with you! 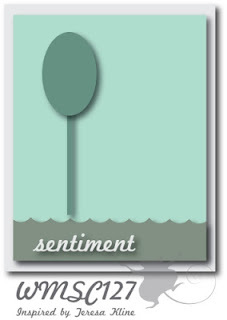 I immediately thought that shape on the left was a tree and remembered a pre-decorated gift bag I picked up at the hardware store, believe it or not. We've been spending a lot of time at the hardware store since we moved into the house and they actually have a nice selection of Christmas decorations and other "stuff." I found a couple of these gift bags that I thought I could gussy up so I picked a few up. Here is a list of other crafters taking part! I hope you can swing by some of their blogs and see the holiday inspiration! It's wonderful! Hello friends! 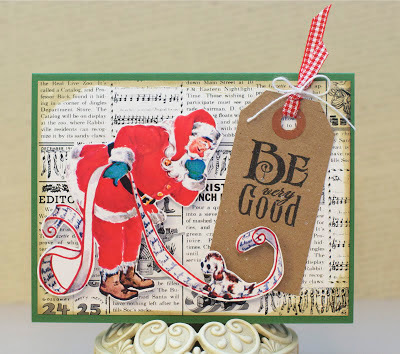 Today is day 7 of the "12 Days of Holiday Projects" blog hop! I hope you are enjoying the holiday inspiration - I sure am! For this card, I started off with a green card base and covered it with a newspaper printed background paper. 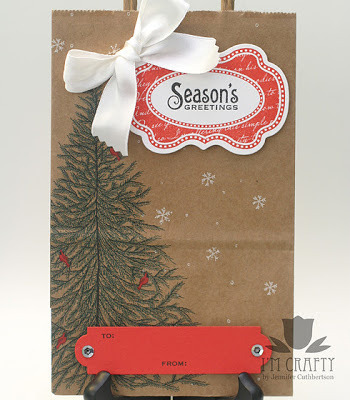 I spritzed a kraft tag with some silver spray and stamped the sentiment on it and then tied the tag with some gingham ribbon. 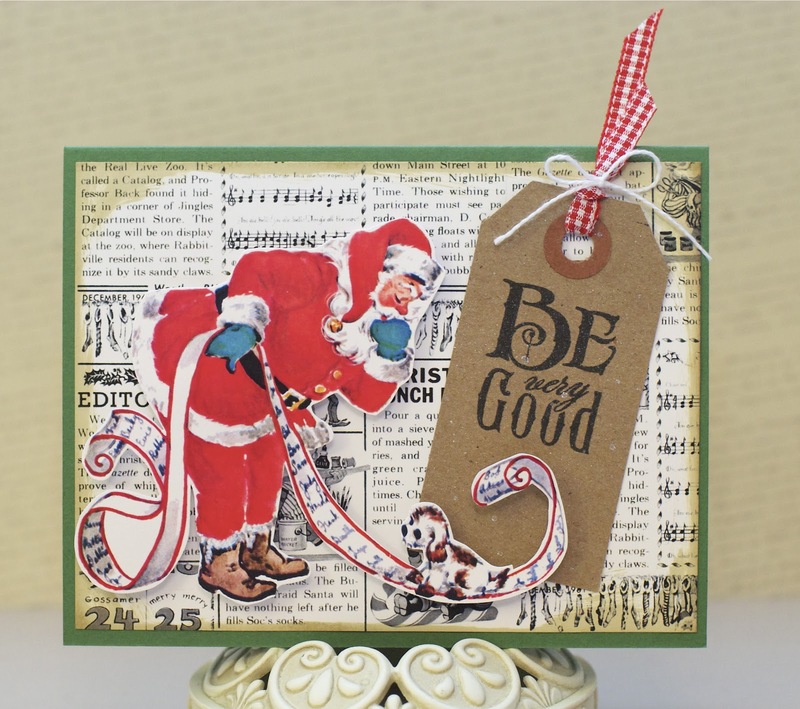 I finished the card with a wonderful die cut of Santa with his big, long, Naughty or Nice list! Cute! Here are links to the other crafters taking part in this event! I hope you have a chance to check them out! Hello friends! Today marks the beginning of a brand new color story at The Play Date Cafe! 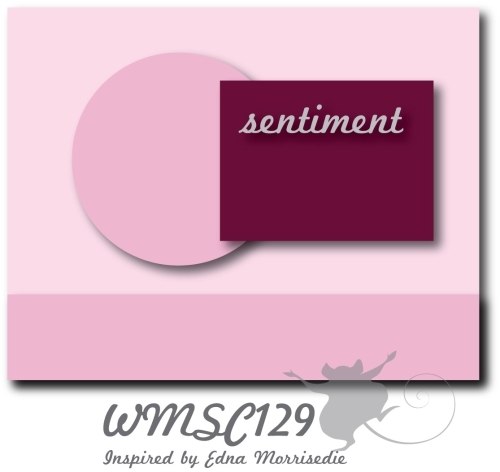 I just love the soft colors and can't wait to see what you make with them! When I saw these colors, I immediately thought of the Holiday Style collection and the blue and cream snowflake paper! I used that as a background and then added some crochet trim to the side and added a chipboard sticker and a little card from the collection that I gussied up with some Stickles. Have fun with this one and link up by Tuesday for a chance to win a fabulous prize!! 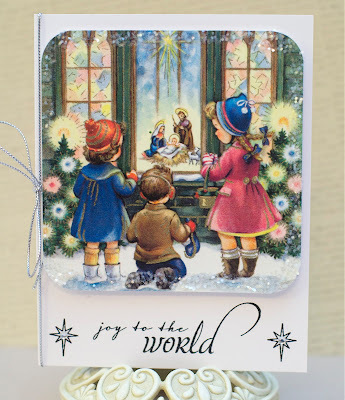 Welcome to Day 6 of The 12 Days of Holiday Projects Blog Event. 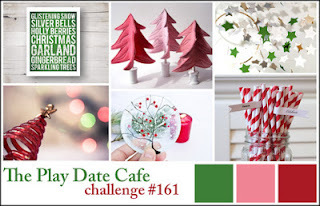 Several crafty bloggers and I decided to post one holiday project a day for 12 days - just for fun. The projects will be anything crafty like cards, ornaments, wreaths, advent calendars, etc… We’re posting projects we made using products we like and hope they will give you some inspiration for your own holiday craft projects. You will find links to all the other participating bloggers below. Hopefully you can find time to look at their blogs and leave comments on any that inspire you. Thanks so much for visiting today and happy crafting! Hello friends! 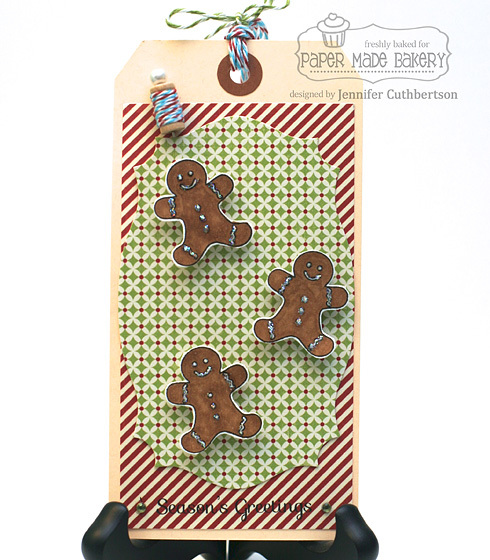 Today I have a little tag that I made that was recently published in the November/December issue of Paper Crafts Magazine! I've been so busy unpacking and just getting used to everything after the move that I haven't had a chance to share this with you yet and I thought it would be perfect to share it now, for day 5 of the "12 Days of Holiday Projects" hop! 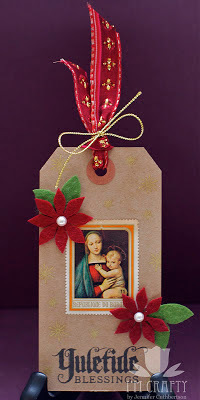 I started off with a kraft tag and stamped some little snowflakes in gold ink and the sentiment and then made the star of the tag a vintage postage stamp of Mary and the baby Jesus. I added a couple of felt poinsettias with pearl centers to the tag and finished it with some red and gold ribbon and some gold twine.